Yay, it's Friday! And, if you can believe this, I'm actually posting my Festive Friday card on Festive Friday!! Hooray! Look at this gorgeous, shimmery photo...I told you it was a good one, didn't I? I've been waiting all year for this challenge! 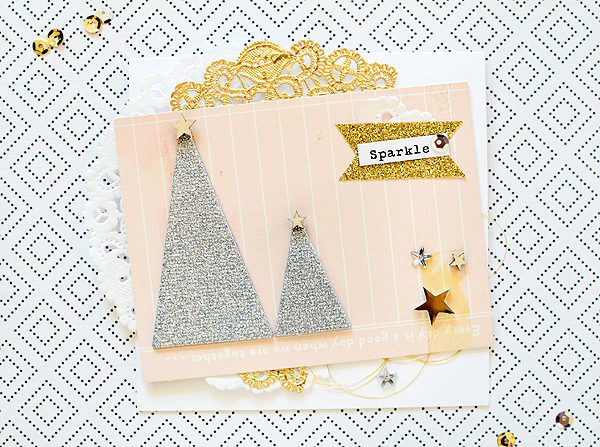 I obviously took my cue from the colors, but the two silver cone trees stood out, too, and I used some glittery triangles from Studio Calico to make my own. I mixed my metallics, using both silver and gold because they were used in the photo, and because they each compliment the blush pink so well. This is still one of my favorite color combinations right now--maybe my most favorite since I can't seem to stop making things with these colors. Both the wood and rhinestone stars are from SC, as well. I pulled the pink journaling card from Maggie Holmes' Styleboard collection. It's a busy Friday and will be a busy weekend so I'll leave you with just this...but if you've fallen in love with the inspiration photo as I did, you can play along with the challenge--we'd love to have you! So, So PRETTY!! Have a great weekend! Lovely eclectic wonder! 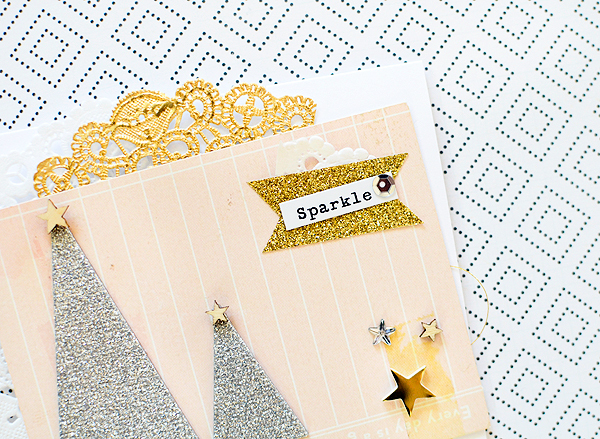 So much glitter and gold tastic-ness!!!!!! 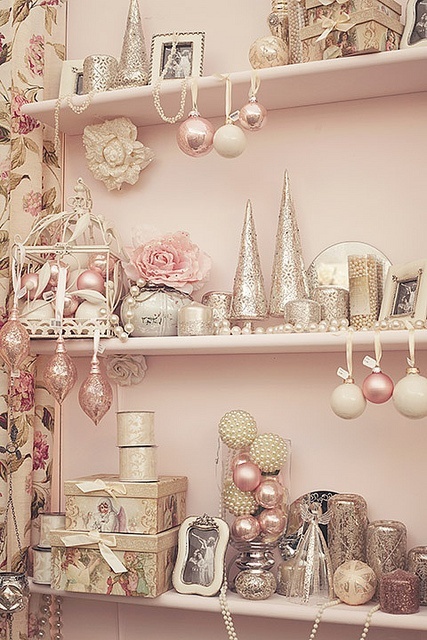 Thanks for having me as a Guestie this pretty "Sweet Victorian Pink Challenge"